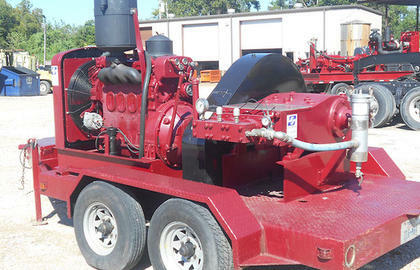 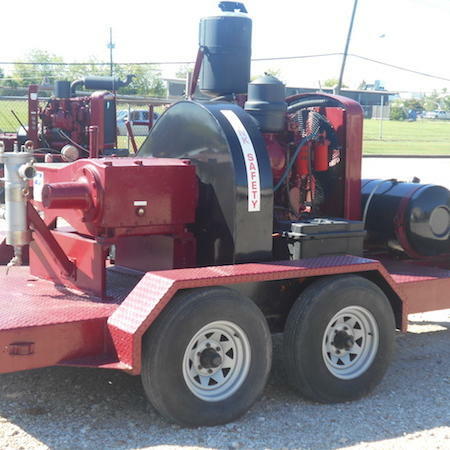 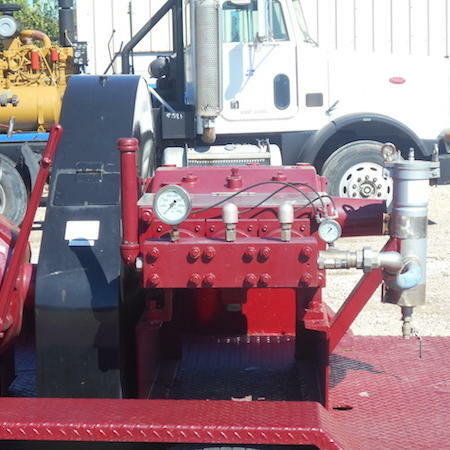 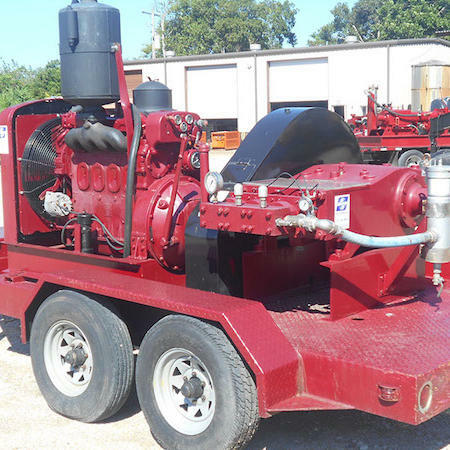 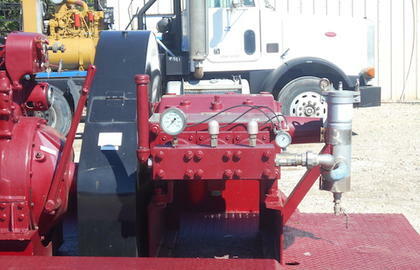 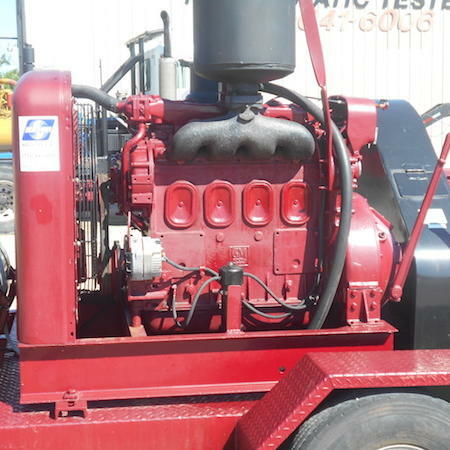 GD TX375H | Boatman Industries, Inc.
Water blaster rental B14 uses a Gardner Denver TX375H pump and is powered by a Detroit 471 diesel engine with a PTO transmission. 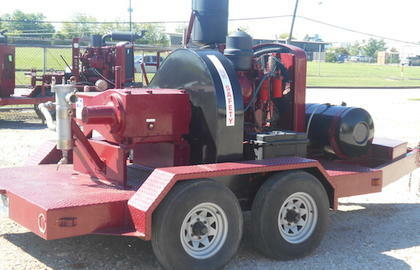 This rental is mounted on a bumper pull trailer. 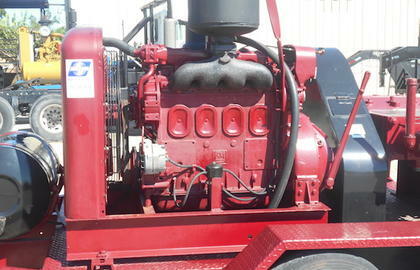 B14 has been rented out for various industrial cleaning jobs and is well maintained.